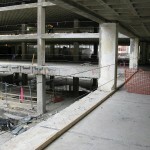 Are you looking for concrete services for a school repair in Virginia, Maryland or DC? Concrete Restoration Inc has a track record of providing expert concrete repair and restoration services to various schools, both public and private, across the Washington Metro Area.Whether you are looking for professional concrete inspection, concrete restoration, concrete repair, concrete maintenance, or any other concrete services; we have a reputation for excellence, expertise, and expediency. If you are ready to schedule your School Repair or Concrete Services, then contact us online here or call us at 301-261-4933 and speak with a customer service representative. School repair in Virginia is a special category of concrete repair and restoration. The needs are expediency and affordability, as well as concrete mixtures and structures that are safe for a large number of people moving constantly. Most schools and other institutional buildings are built with a heavy emphasis on concrete. Concrete parking lots, concrete ramps, and concrete steps make up just a couple of the elements that require concrete maintenance and repair. Concrete is used so frequently in the construction of schools, because it is affordable, long-lasting, and strong; in other words, concrete gives you the most usefulness for the smallest investment. To assure the safety of everyone in the school, students and teacher alike, you must ensure that your concrete structures are sound and undamaged. Any small cracks not only could lead to later, larger, more dangerous conditions, but they also could be endemic of more serious problems below the surface. As a professional concrete service, we also offer complete concrete inspections in order to determine exactly the health of your existing concrete structures. Once we figure out what you need, we will give you a detailed estimate at our competitive prices. Choose Concrete Restoration Services, Inc.
We have a history of working with schools, private and parochial, and the specific needs and pricing needed for an educational institution. For school repair in Virginia, commercial or industrial concrete services, throughout the Maryland, Washington D.C., or Virginia metro regions, Concrete Restoration Services, Inc., offers the very best quality professional concrete the most competitive pricing. We have well over 30 years of expertise with washing, fixing and maintaining concrete and have built our entire reputation on skillful, reasonably priced, and professional work. Call today at 301-261-4933 for more information or a free estimate for your industrial concrete services. You can also click here fill out our online information request form here.